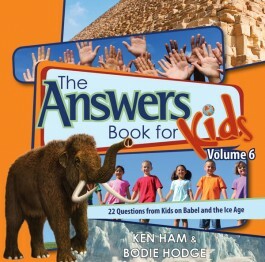 For the curious at heart, The Answers Book for Kids, Volumes 5 and 6 by Ken Ham and Bodie Hodge are perfect. Small enough to port around and in full color these books are going to fill your child’s mind with answers to the most asked questions about Space and Astronomy and the Tower of Babel and the Ice Age, respectfully. For the not so curious these two volumes will open eyes to new thoughts and biblical concepts that have not been discovered by young and old. Creating teachable moments, the books can be read all the way through by the book connoisseur or one question per day for those that like to think things through at a steady pace. The pictures are created with fully illustrated mixed media art on the left side of each page and include a child engaging in a picture relating to the topic at hand along with the question asked. 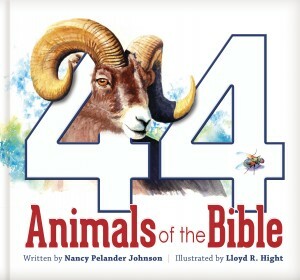 These pages include the child’s name and age creating a relatable connection for the young reader. The right side of the page spread has the answer to the questions starting with the scripture reference. The scripture is completely written out so there is no lag in connecting to the answer. Afterward, Ken Ham and Bodie Hodge put forth their summary of what the scripture says and personal commentary on how the scripture can be interpreted or explained. Volume 5, Space and Astronomy, also includes some charts titled Yearly Meteor Shower Dates, Table of Planets and the First 5 Dwarf Planets, and a succinct glossary of definitions to expand on. Finally, each page ends with a Bible icon that will allow for further research on the topic. The books are enlightening to say the least. As I read them, I was introduced to inquisitive questions I had not thought of before and their interesting answers. 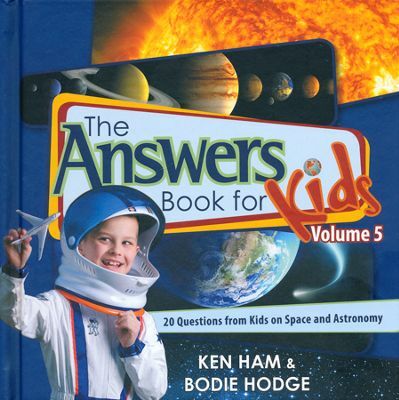 Ken and Bodie have created a valuable and fun resource for our children to learn how God created the universe. 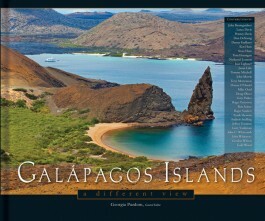 These books were forwarded to me by New Leaf Publishing Group as a reference for reviewing the books. My opinions are my own.